Researchers in Germany have documented a steep decline in flying insects at dozens of nature reserves in the past three decades, and agricultural pesticides may be to blame, said a study Wednesday. 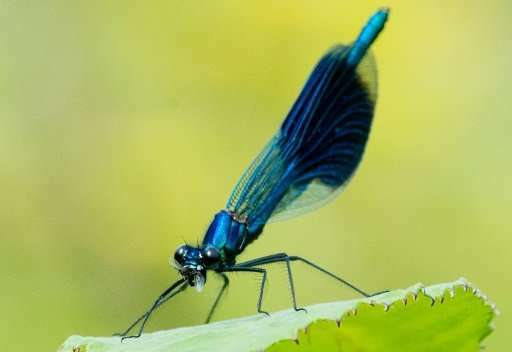 "The fact that flying insects are decreasing at such a high rate in such a large area is an even more alarming discovery," said lead researcher Hans de Kroon of Radboud University. For the study, researchers used sticky traps to collect insects at 63 nature reserves, then measured the biomass, documenting changes over time. Over the past 27 years, they found an average decline of 76 percent, with the effects appearing worst in summer (82 percent). "All these areas are protected and most of them are managed nature reserves. Yet, this dramatic decline has occurred," said co-author Caspar Hallmann from Radboud University. While the study did not pinpoint a reason for the drop, researchers said many nature reserves are encircled by farm fields, and that pesticides could be to blame. "As entire ecosystems are dependent on insects for food and as pollinators, it places the decline of insect eating birds and mammals in a new context," said de Kroon. "We need to do less of the things that we know have a negative impact, such as the use of pesticides," he added. "We also have to work hard at extending our nature reserves and decreasing the ratio of reserves that border agricultural areas." I feel like I'm taking crazy pills because I'm the only one that's noticed the increase in spider populations. Considering spiders eat small flying insects, an increase in the arachnid community would cause a decrease in the population of their prey - the flying insects that communities are obviously concerned about. Within the last decade, every house I've moved into has had an increasing number of spiders. I'm not playing into the misconception that there is always a spider within three feet of any given person, either. It's something I've legitimately noticed over the years. I'm not sure if living in the midwest of the U.S. plays a factor, but I'd imagine this is going on everywhere to some degree. rrb55178, perhaps more spiders are coming into houses because they are desperate for food.